A subcompact based on the LF-SA concept (shown) could give Lexus a sales boost in Europe, where Toyota's premium brand has failed to make headway against German rivals. 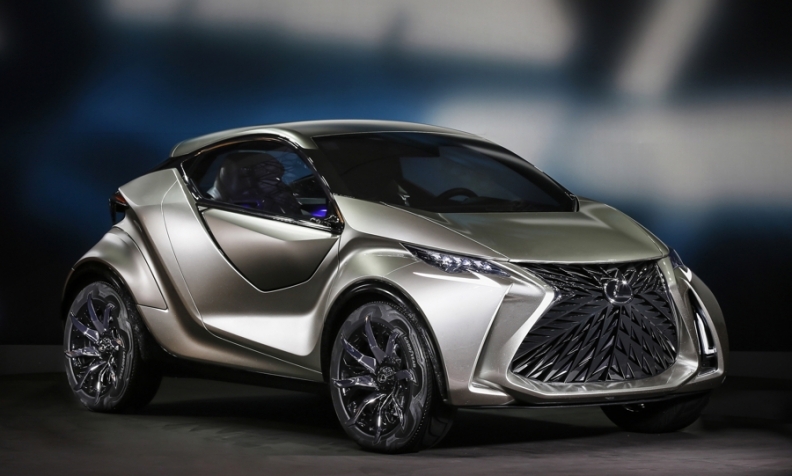 Lexus revealed the aggressively styled LF-SA subcompact concept at the Geneva auto show today. If built, the model would compete against the Mini hatchback and Audi A1 in Europe's entry-premium segment. “The SA stands for small adventurer. It’s the most compact Lexus ever,” said Alain Uyttenhoven, head of Lexus in Europe. Lexus International Executive Vice President Mark Templin said the car is "just a design concept,” and a way of getting the brand’s stylists to think about the future, when car buyers in crowded megacities are expected to be seek out premium small cars. Mini currently charges a premium price for its subcompact-sized models as does Audi with the A1. Those two cars dominate Europe's entry-premium niche, which currently includes just six models. A production version of the Lexus model could go on sale in 2018 and would slot below the CT, the brand's best-seller in Europe, reports said. Like the CT, a production LF-SA would be offered only with a hybrid powertrain, the reports added. Lexus sold 31,079 vehicles in the Europe last year, up 30 percent on the year before, according to industry association ACEA. The brand, however, had a European market share of just 0.2 percent compared with Audi's 5.6 percent, BMW brand's 5.5. percent and Mercedes brand's 5 percent. Lexus increased its 2014 European sales of the CT 9 percent to 10,140, according to JATO Dynamics.